Join us for our 14th Annual Upper Bucks Foodie…A Culinary Adventure on Thursday, October 10, 2019 from 5:30 to 8:00 p.m. at Sands Chrysler Jeep Dodge in Quakertown, PA. This event supports the Pennsylvania Free Enterprise Foundation and the Upper Bucks Chamber of Commerce Foundation Education Programs. The Foodie is an opportunity to showcase the area’s diverse dining establishments and local beer, wine and spirits purveyors while providing attendees an evening of great food, spirits, entertainment, and networking to support free enterprise and leadership education. There will be samplings of an array of scrumptious gourmet food, top local breweries and wineries will also participate by treating guests to refreshments complimenting the savory samplings, but don’t let the samplings fool you – there is plenty to fill your plate! ﻿﻿﻿﻿Sponsorship of this fabulous, one of a kind event offers you an opportunity to promote your business. Sponsorship's combine traditional advertising with public relations and networking benefits in a unique package. Your business name will receive exposure for weeks prior to the Foodie, during and after the event, through our weekly e-newsletters, event posters, website, social media networks, and press releases. Please consider the exposure your business will receive as a sponsor of this event. Last year’s Foodie event welcomed over 300 guests, attracted several new sponsors and raised $15,000 for entrepreneurial and free enterprise education for our community’s future business leaders. ﻿The Foodie is an evening of food, spirits, entertainment, and networking. It’s your ticket to exposing your business to the local community while oﬀering samplings of an array of scrumptious gourmet food to showcase your own unique culinary skills. ​Some of the top local breweries, wineries and spirit manufacturers will also participate by treating guests to refreshments complimenting the savory samplings and live entertainment. Participation at this event oﬀers you an opportunity to promote your business. Advertising and public relations opportunities for this event occurs prior to, during and after the event. Your business name will receive exposure for weeks prior to the Foodie on the UBCC's website and on social media. 8th Street Sweets, Amy's Creative Cakes, Bowman's North, C&C Catering Service, Derstine's Inc., Edible Arrangements, EAS Water & Coffee, Faber Spirits, Gallows Hill Spirits, Giant Food Store, Jersey Mike's, Luberto's Brick Oven Pizza & Trattoria, McCooles at the Historic Red Lion Inn, Pappy's Orchard & Bakery, River Horse Brewing Company, Snicklefritz Cidery, Spinnerstown Hotel, St. Luke's Quakertown Hospital, The Basic Art of Italian Cooking by Maria Liberati, Quakertown Farmers Market, The Riegelsville Inn, The Brick Tavern Inn, The Farm Bakery & Events, The Smoke Factory BBQ, Unami Ridge Winery, Weyerbacher Brewing, and MORE! This event supports tomorrow’s free market business leaders from our community through Pennsylvania Free Enterprise Week (PFEW), a program of the Foundation for Free Enterprise Education. 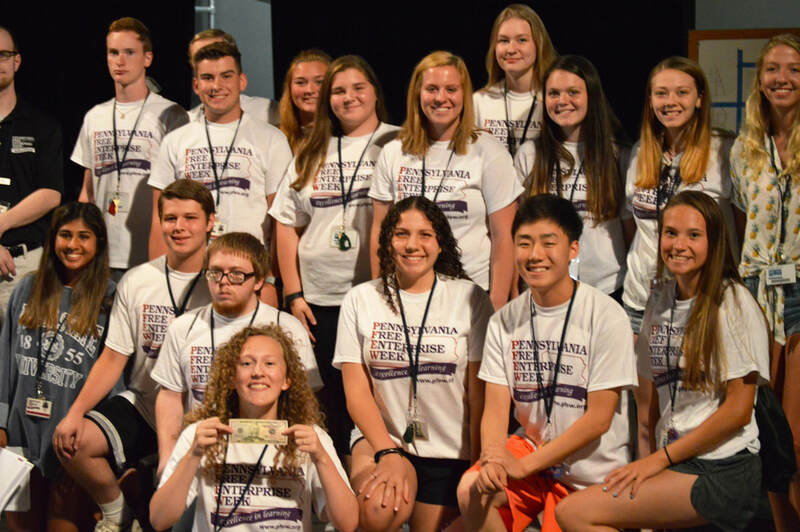 Pennsylvania Free Enterprise Week is an intensive program that educates high school students about the American free enterprise system, bringing motivated students together with business people from throughout the state. This unique concept in learning has enhanced the lives of over 31,000 young adults for thirty-four years.